For Dani Hulyer, the central focus of exercise is building the body’s capacity rather than burning quick calories through a punishing workout. “Exercise is meant to be anabolic instead of catabolic,” she says. “I should be able to walk out the door and leave that person ready to go and run around the house rather than lying flat on the floor going ‘Oh my God, thank God she’s gone’”. 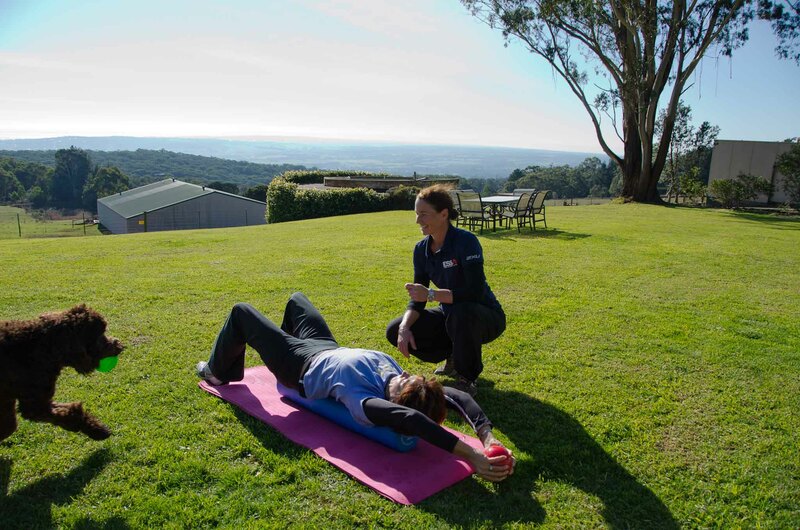 Through her business Peak Pursuit, Dani has worked in the prevention and management of chronic disease and injury, specialising in the musculoskeletal system (the system that basically gives us the ability to move) for 20 years. She works with clients referred by doctors. 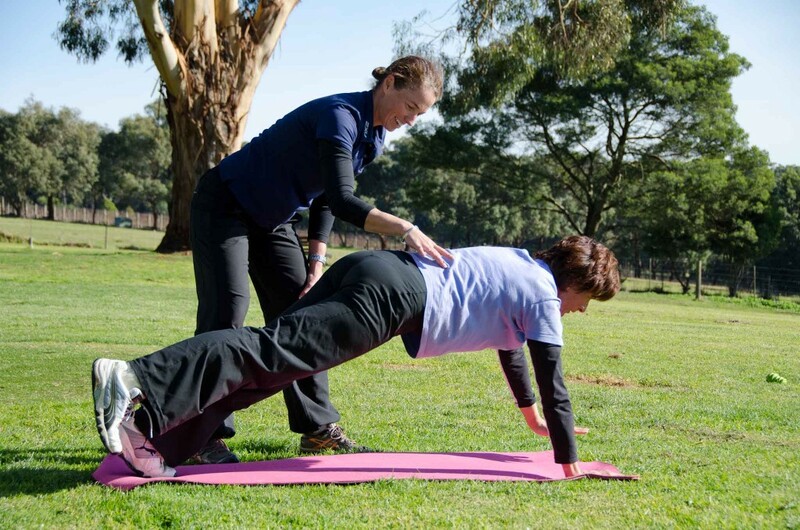 A university-qualified Exercise Physiologist, her services are recognised by Medicare and private health funds, and she works with a number of clients referred by their doctors – although you don’t need a doctors referral to see her. While that might sound like a narrow focus, every one of us has an interest in either prevention or management of injury and illness. The underlying goal is wellbeing and taking care of your body in order to get the most out of it. If you want to compartmentalise exercise with a punishing Biggest Loser or boot camp-style workout with someone shouting arbitrary instructions at you, you won’t find it here. Actually, forget that altogether; aside from being potentially harmful to joints and tissue, it’s just no fun. 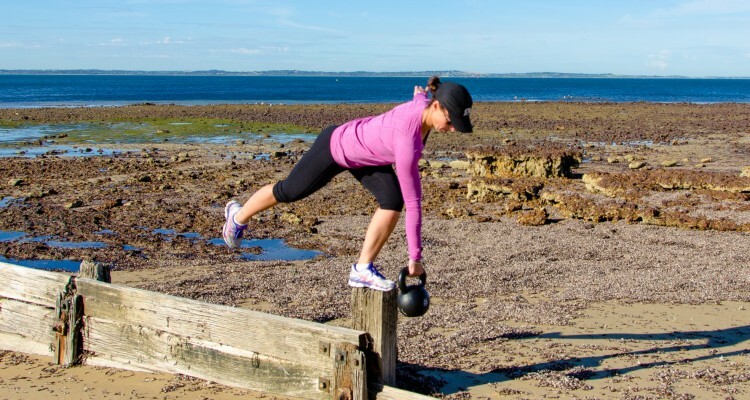 Dani’s approach is, essentially, the very definition of personal training. 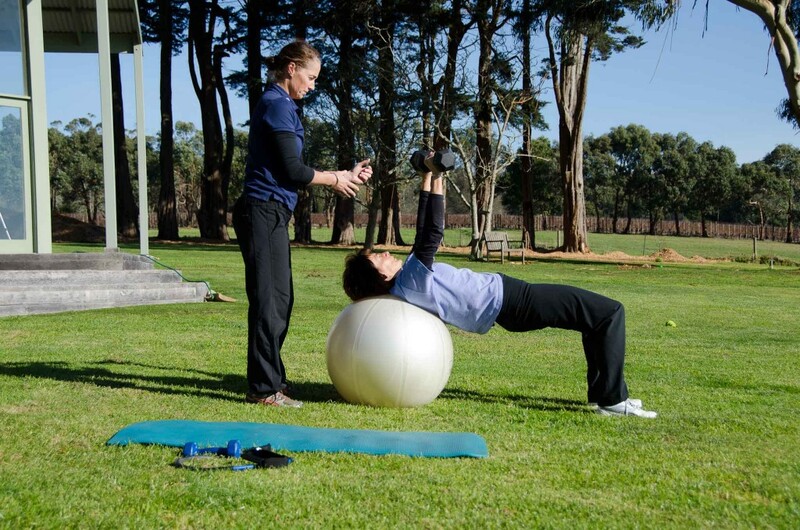 After carrying out an assessment she carefully prepares a personalised program and then trains people in how to get more out of their bodies throughout the day, every day. 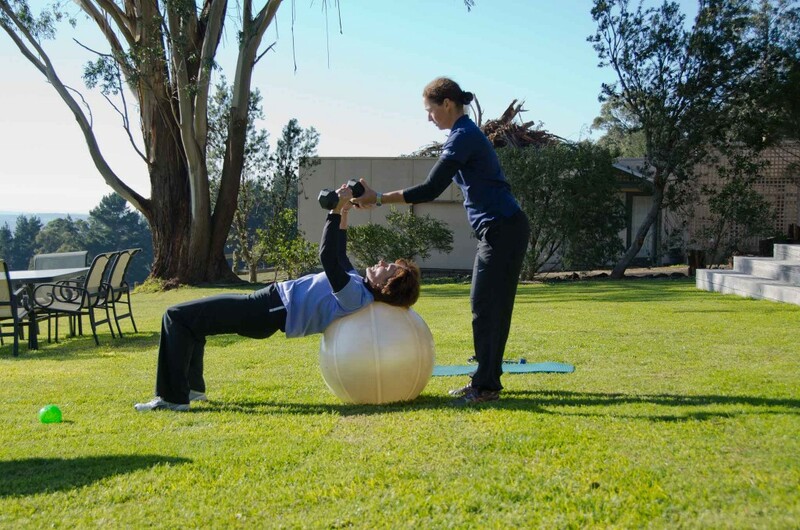 This often involves building – and learning to use – core strength, as well as learning or rediscovering things like muscle balance and flexibility, and smoothing out the quirks, misalignments or instabilities of an individual’s body. 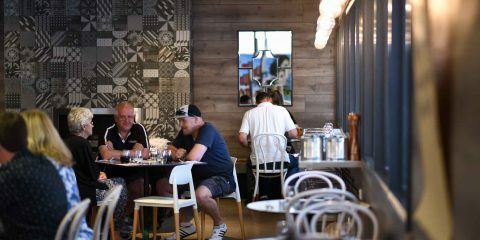 The importance of these things to general well being, – whether you spend days slouched at a desk or hard at work in manual labour – is too often understated and misunderstood. She believes an effective personal trainer has to be empathetic to the individual needs of the person they are working with. Just as every body and musculoskeletal system is different, so too will every person respond differently to training. Dani shows Meredith how to use a Swiss Ball. That’s another way for fun in the sun and learning to maximize core and glute activation. One-on-one is second to none! And Dani is a warm, friendly person (every personal trainer is different!) who likes to engage and keep things interesting. As she drives around visiting her clients, Dani carries about 120 kilograms of training gear in the back of her car – from medicine balls to TRX equipment. 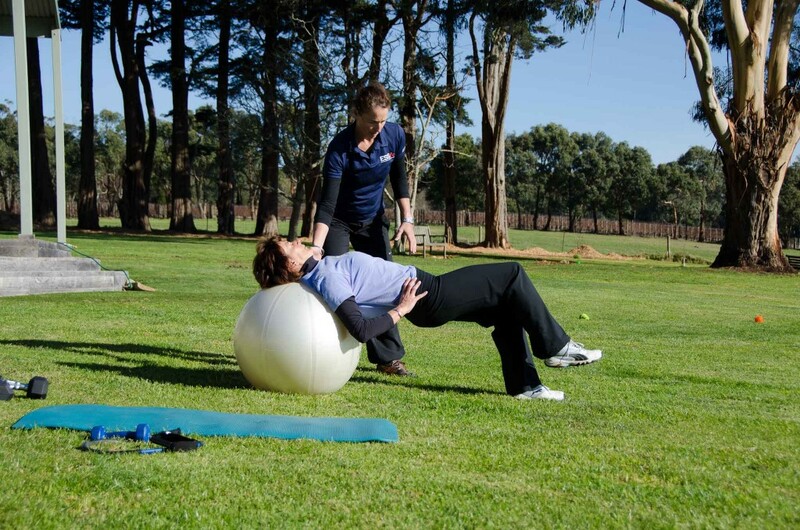 Swiss Balls can be used in many ways to add variety, difficulty and fun to a workout! 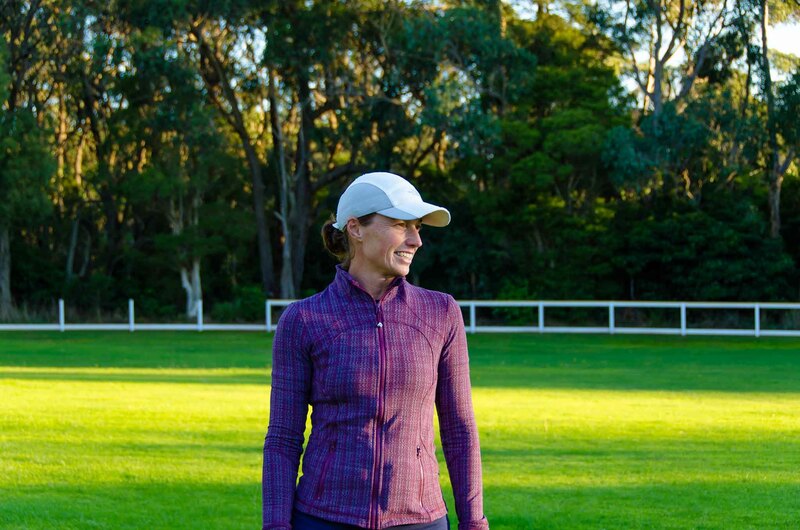 Originally from Perth, she arrived on the Peninsula in 2008 and has since built up a loyal and broad clientele, from children as young as 10 to retirees keen to stay mobile and improve their golf. 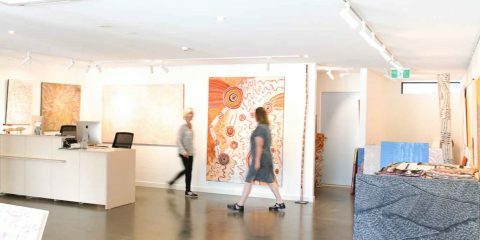 Prior to that she spent 10 years in London, during which time her parents moved across the country from Perth to the Peninsula, leading her here upon her return. 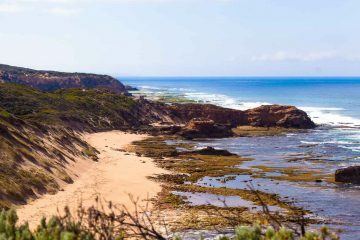 With similarities to Margaret River, where the family would regularly holiday, it felt like a natural place to settle. 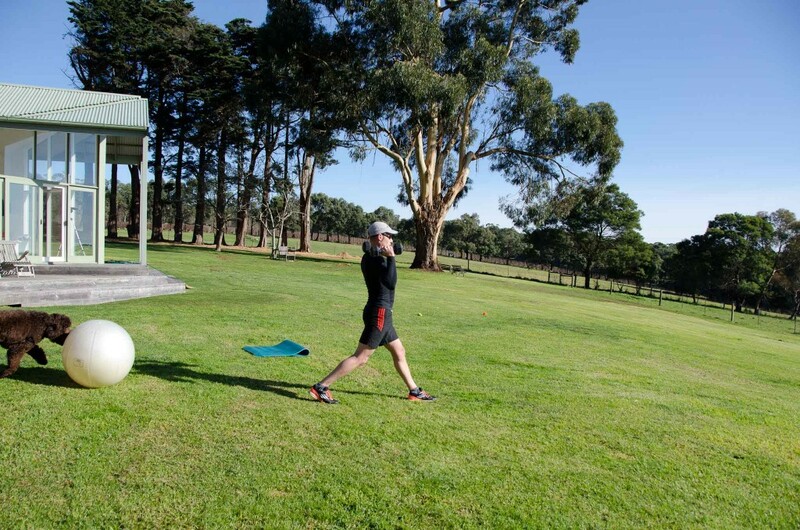 Naturally there is rarely, if ever, a lack of quality space in which to train. 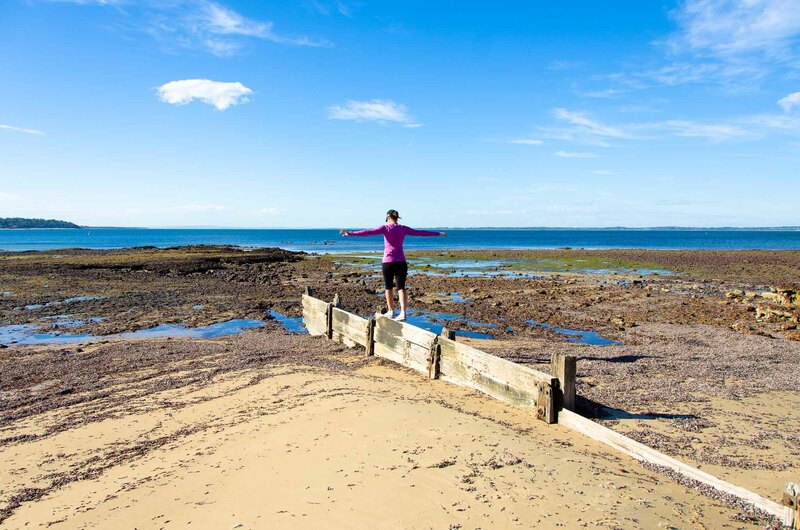 She’ll work with people in relaxed home environments, natural open spaces or down at the beach, setting up the TRX kit on a boatshed and making use of the sand and water. Dani mostly works one-on-one, but does lead group sessions, still ensuring everyone involved is properly assessed before participating. She also provides nutritional assessments and advice, and delivers presentations on health and fitness. Broadly speaking, the issues are common. Although we all learn about sports and physical activity in school, the basic mechanics of body movement, and recognition of those small personal quirks that can lead to injuries over time, are generally missed. To their detriment, Dani also says many women and men tend to fall into the trap of playing to their strengths at the expense of improving weaknesses and creating a healthy balance. “Naturally, women are more drawn to things like yoga, tai chi and pilates; men are more drawn to strength training, and it should actually be the other way around,” she says. From a holistic well being perspective, exercise is not about merely body shape and burning calories, but an enhanced lifestyle that energising mind and body and leaves you capable of things you never thought possible. Dani Hulyer is helping people on the Peninsula to find their true potential. You can contact Dani Hulyer, Exercise Physiologist on 0405 289 355 or email her directly at dhulyer@hotmail.com Either way she’d be happy to hear from you.